This elegant topper gives you a perfectly sheer layer of luxe for warm summer outings. 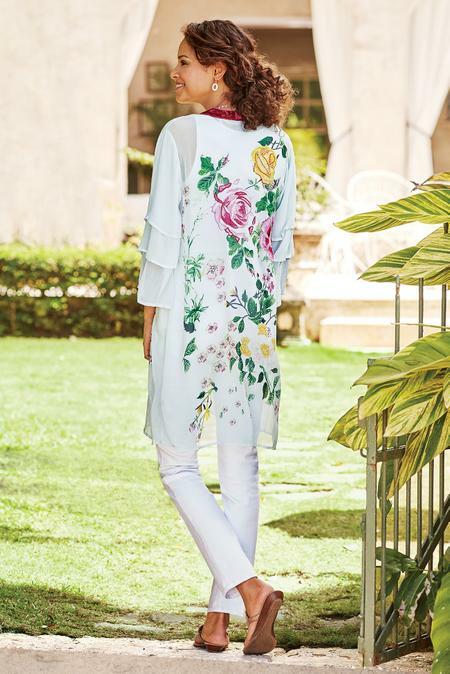 Styled from woven georgette, the kimono design hits all the right notes with multi-tiered 3/4 sleeves and embroidered florals in back. Viscose. Misses 37" long.